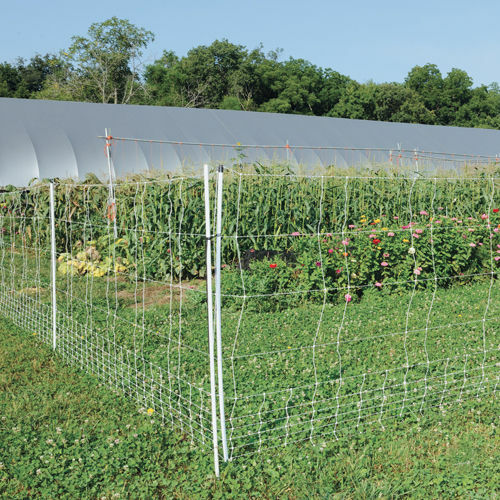 Netting is 60" (5 ft) tall to discourage deer. 60" (5 ft) tall. 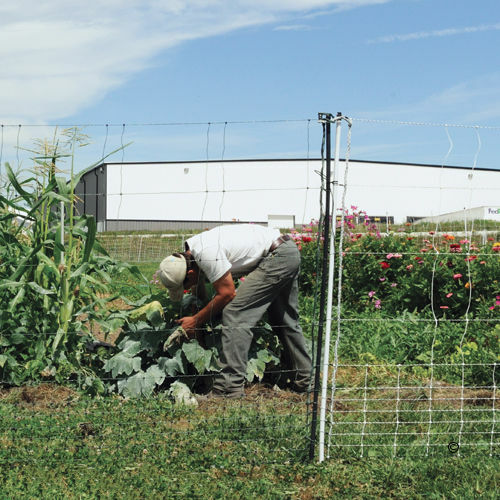 Stops large and agile animals like livestock, bears, deer, dogs and coyotes. Has verticals every 3" near the bottom (to stop rabbits, groundhogs, raccoons, skunks, dogs and geese). Verticals every 20" near the top. 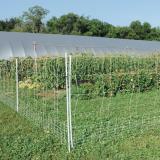 The unique spacing reduces cost and sagging between posts. 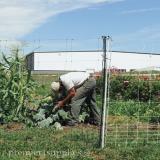 12 horizontal strands that are spaced close together near the soil. Why use VersaNet Plus 60 instead of Deer QuikFence or PermaNet 19/68/3? 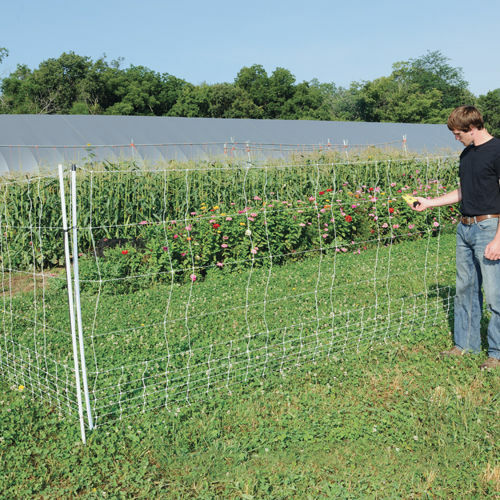 Unlike Deer QuikFence, close spacings near the soil will stop small critters. Fewer overall strands than PermaNet 19/68/3—less weight/easier to move. 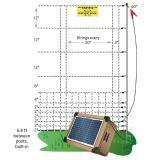 2.0 joule plug-in energizer kit to keep livestock in and predators out. Comes with the necessary installation accessories. 2 joule AC/DC energizer can be quickly changed from plug-in to battery power. Kit includes: 12v leads, wiring harness, ground rods, clamps and fence tester.